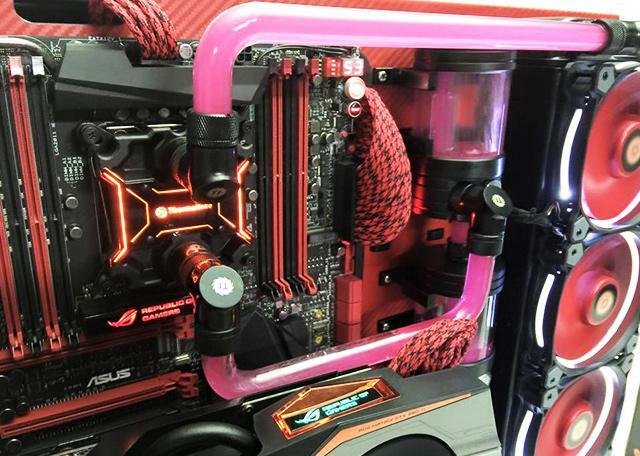 To build an ASUS ROG style Core P5, firstly, we transformed the original color of its main body from black to red by using carbon fiber sticker. 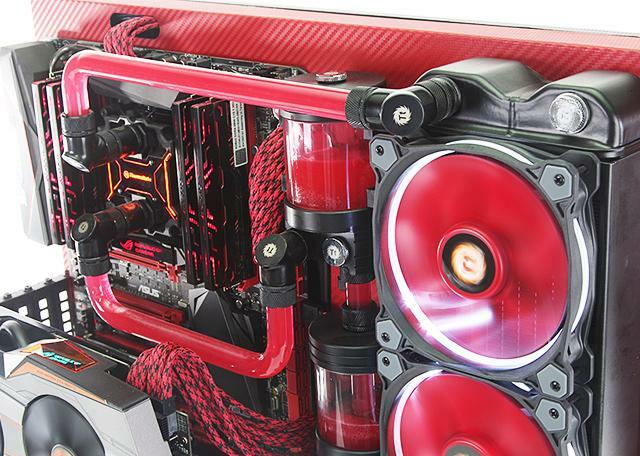 Then, we wrapped the VGA bracket up in the black carbon, and painted the blades of the Riing fans in red. 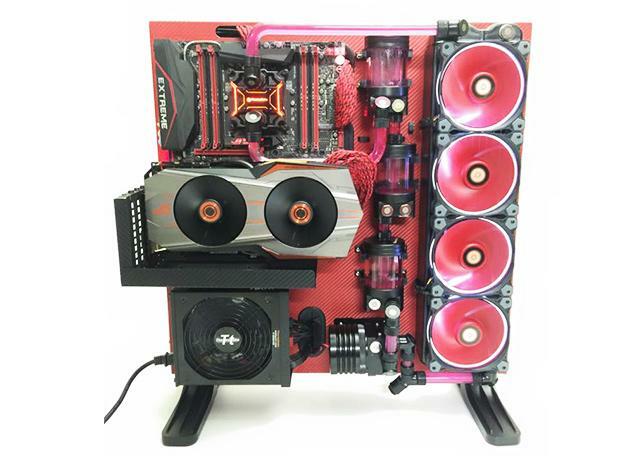 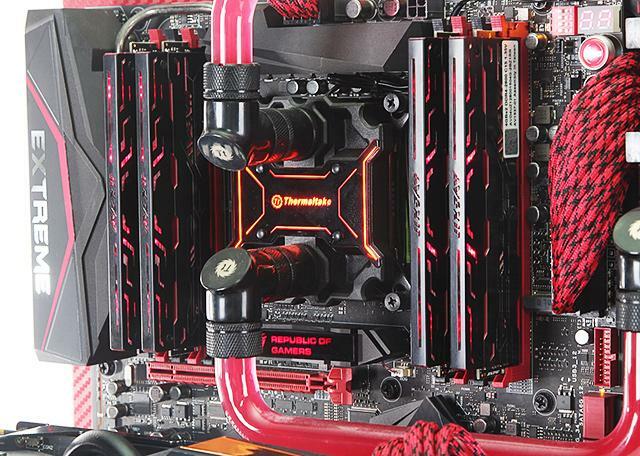 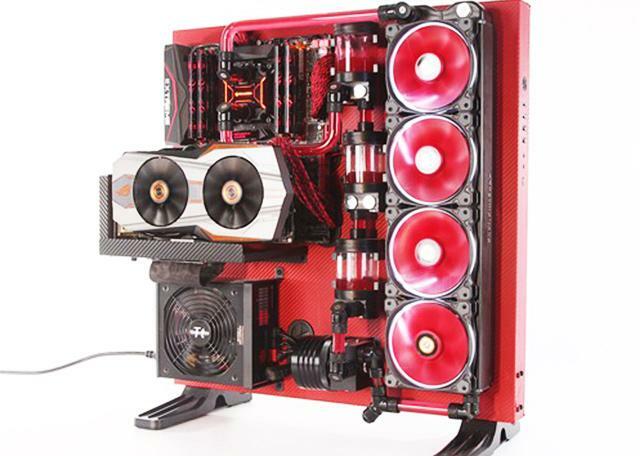 To enhance the visual effect, we chose Thermaltake Coolant 1000 Red as the coolant.